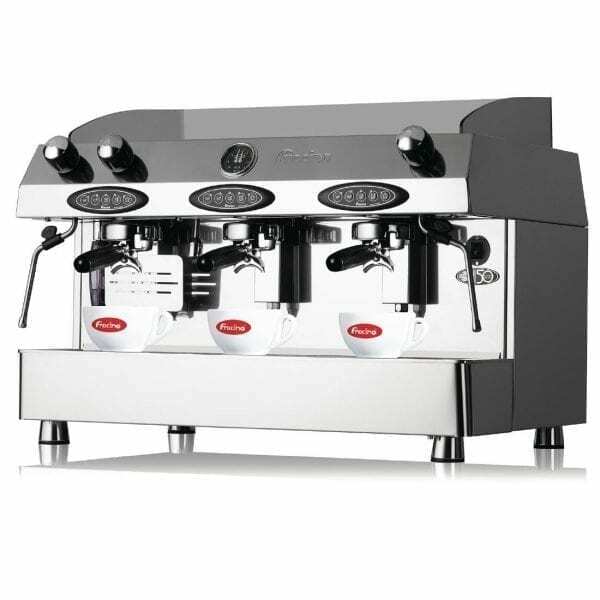 The superior quality Fracino Contempo 3 group espresso maker consists of a bright stainless steel finish, robust and durable construction, unique pyramid feet and a traditionally styled cup shield. Its design is innovative and modern, yet still takes inspiration from the more traditional Italian automatic coffee machines. Produces large quantities of superb quality coffee, consistently and without fuss. A stunning and timeless focal point to any cafe or bar. Installation and training included with purchase to UK Mainland only, excluding Offshore & Remote locations (you will be contacted to complete a pre-installation checklist, before installation date is booked and machine arranged for delivery). IMPORTANT: orders for Offshore and Remote locations (Ireland, Highlands, Islands etc) will incur additional charges with added delivery lead times – phone order only, please call us for more details.